This includes track, field (jumping and throwing), multi event, road running, trail running and cross country. 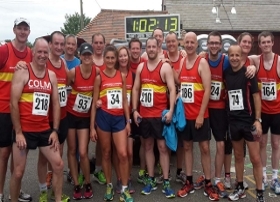 The club has seen remarkable growth in the last few years, more than doubling in size, with growth seen particularly in the junior sections, endurance, and road running. We compete and train throughout the year with training nights on Tuesdays and Thursdays at Braintree Track.